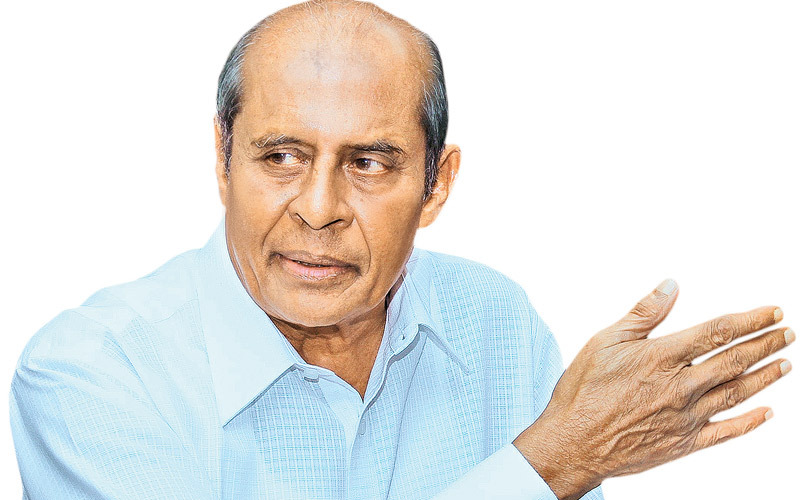 Law and Order Minister Tilak Marapana yesterday said he had decided to resign from his ministerial portfolio over the controversy surrounding the Avant Garde security establishment. Marapana announced that he had sent his resignation letter to the President ahead of a special meeting of the Cabinet of Ministers held yesterday to discuss the issue. Explaining the reasons for his decision Marapana, a legal advisor to Avant Garde prior to becoming a minister, said he decided to step down as there was an investigation on the firm’s activities. “Since an investigation is underway about Avant Garde, I have decided to tender my resignation,” Marapana said. Marapana said prior to his decision to quit, he had discussed with Prime Minister Ranil Wickremesinghe. Reaffirming some observations he made in Parliament recently, Marapana said he believes the controversy surrounding the Avant Garde issue came to the fore due to lack of understanding on the activities carried out by the firm. Referring to his controversial speech in Parliament, Marapana said he was only endorsing the assertions of the Attorney General on the issue. “There are international laws and regulations for maintaining a floating armory. According to the law the UN can search the floating armories at anytime,” he added. Marapana said he had never interfered with investigations although he had represented the firm previously in a legal capacity. However, he said some parliamentarians had expressed doubts that Police investigations are being affected because of him. On the weapons found in the floating armoury, Marapana said there were no illegal firearms. Marapana said as such, filing legal action for the weapons under the Terrorist Prevention Act or Firearms Ordinance was not possible. Marapana expressed confidence that the observations made by him on the issue will be proven correct when investigations are completed. The minister’s resignation comes in the wake of heated arguments over his recent speech in Parliament at a recent Cabinet ministers meeting. At the Cabinet meeting several ministers criticised Marapana’s stance on the maritime security firm currently under probe for corruption. A sad situation where the politicians seem to be displaying better knowledge of interpreting the Law of the country than a retired attorney general. Marapana said he believes the controversy surrounding the Avant Garde issue came to the fore due to lack of understanding on the activities carried out by the firm. A legal adviser for the firm in question trying to deviate the real issue to protect interest of the firm, those who involved (former and present governmental elect) and the country itself. I would be glad to argue with all involve in this matter to clear the true facts 4U.